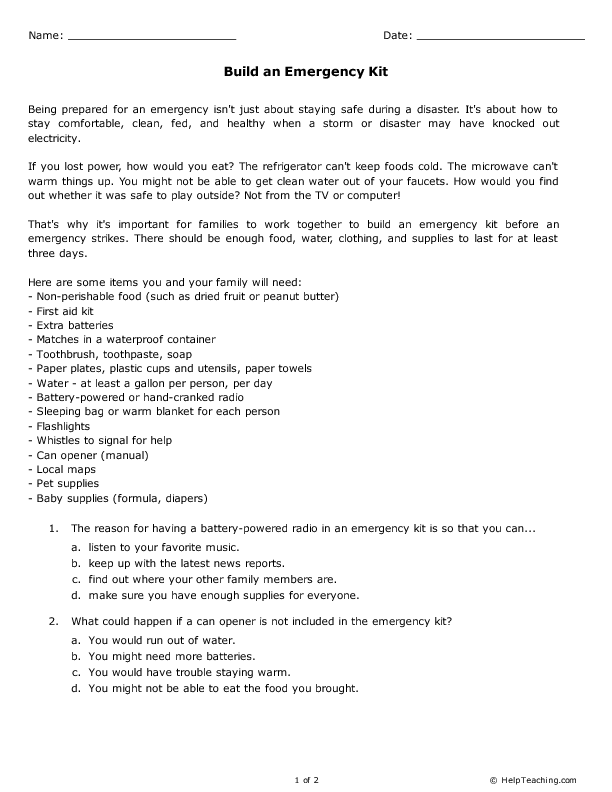 Help build students' reading comprehension skills and help them learn about emergency preparedness with this short reading passage on how to build an emergency kit. The passage is accompanied by a few comprehension questions. 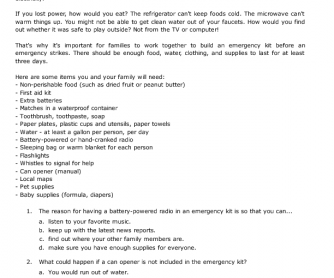 Find more informational reading passages on HelpTeaching.com.